[Sedalia, Colorado, August 2008] – IREA, one of the largest electric distribution cooperatives in the United States, went live in July with Striata’s eBilling solution. Striata, a global leader in email presentment and payment solutions, is helping IREA lower billing costs by replacing paper bills with secure electronic document delivery. IREA, which only recently added the ability for its members to make electronic payments online or by phone, selected Striata because of its successful history in customer adoption of paperless initiatives. The eBill is a replica of the paper bill but with added rich interactive features such as personalized news and information and, for consumers whose account is in good standing, a unique one click payment ability from within the electronic document itself. Striata eBills, with their in-email payment capabilities, are already having an impact on IREA’s Days Sale Outstanding (DSO) cycle. Nearly 80% of the population now has internet access, yet only 30% use it to make online payments. Within the utilities industry, less than 10% of consumers make use of bill-paying web sites to pay their bills. However, these numbers are significantly higher for IREA members. Of those enrolled in eBilling, more than 50% pay within a day or two of receiving the bill in their inbox. With the help of Striata, IREA began training their Consumer Service Representatives to collect email addresses at every customer touch point. Within a few months, they managed to collect 14% of their member’s email addresses. Following an opt-out strategy, any customer with an associated email address was automatically enrolled in the eBilling service. Since the idea behind the eBilling project was to turn off as many paper bills as possible, the automatic enrollment included sending electronic statements to customers who pay via automatic bank debit as well. The opt-out rate for this strategy was minimal because it didn’t require customers to be proactive about retrieving their bills. The only change for the customer is in how their bills are delivered to them. 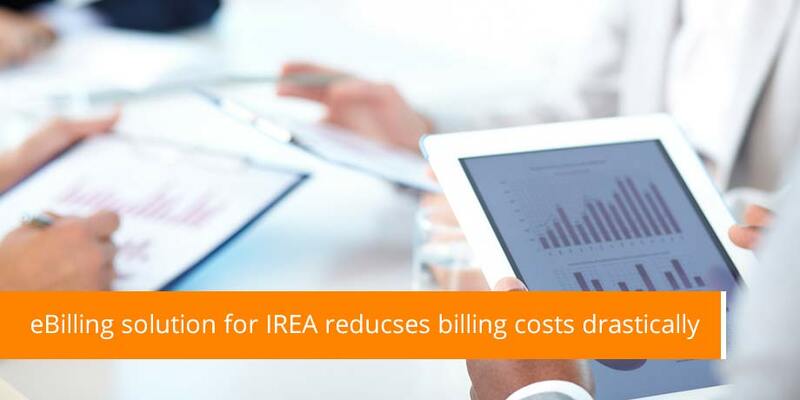 Effective delivery of electronic bills to the customer inbox enables IREA to utilize its billing platform as a cost-effective CRM and marketing channel that drives customer traffic to online account management and targeted promotions.